Gustar is so important that we have dedicated an entire page to it in our new level 2 Spanish for Kids section. The verb gustar is used to express the idea of ‘liking’ something or someone. The key to correct use is to think of it in terms of that something or someone being pleasing to me, you, us or them. Once you get a handle on the rules for using gustar it quickly becomes easy to use it. 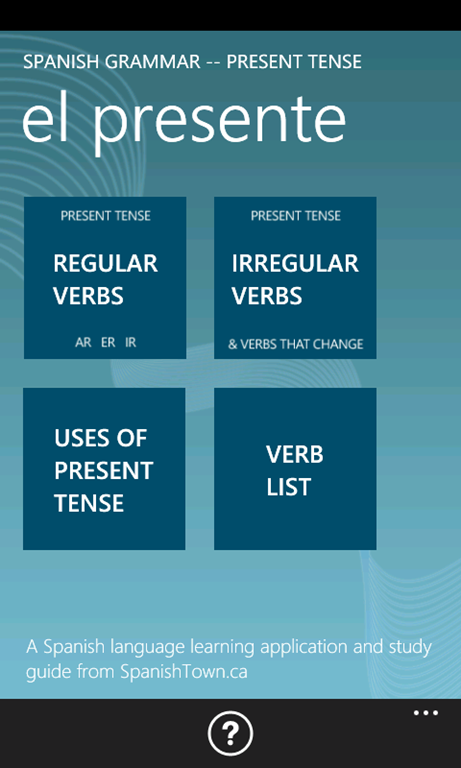 This lesson will take you through those simple rules for using gustar in the present tense. Listen to various present tense forms of gustar when referring to single objects and in the plural form when referring to several objects. Then move on to some actual sentences to see how it can be used for questions and statements. 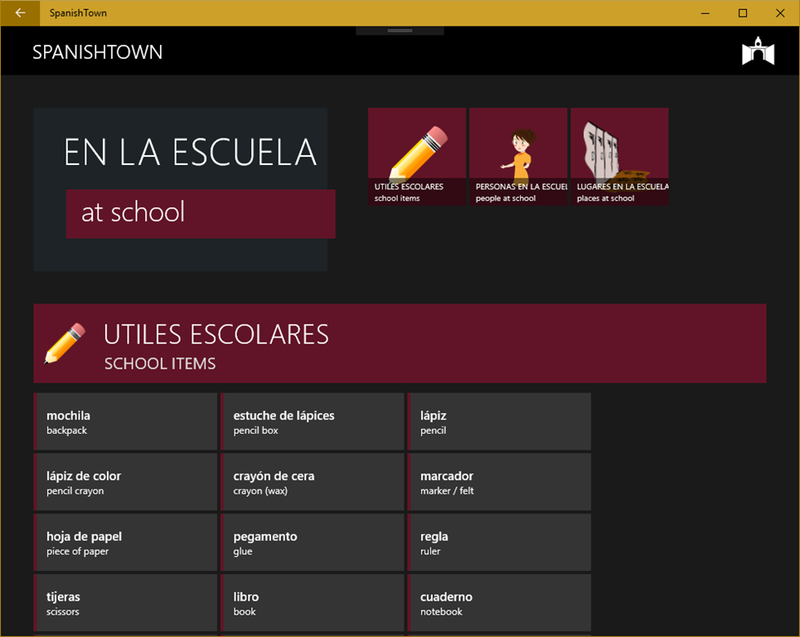 Head on over the SpanishTown.ca to get started. 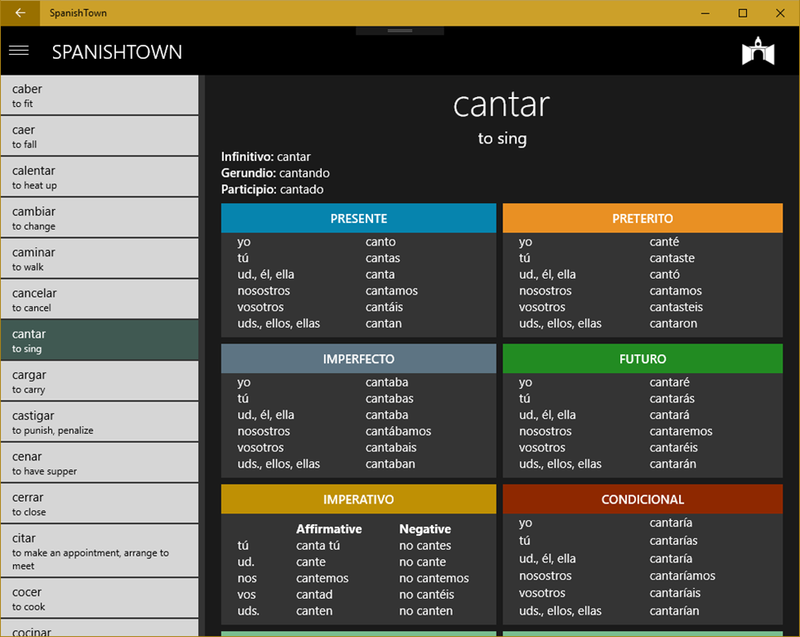 Are you ready to move from learning Spanish vocabulary to Spanish verbs in the present tense? 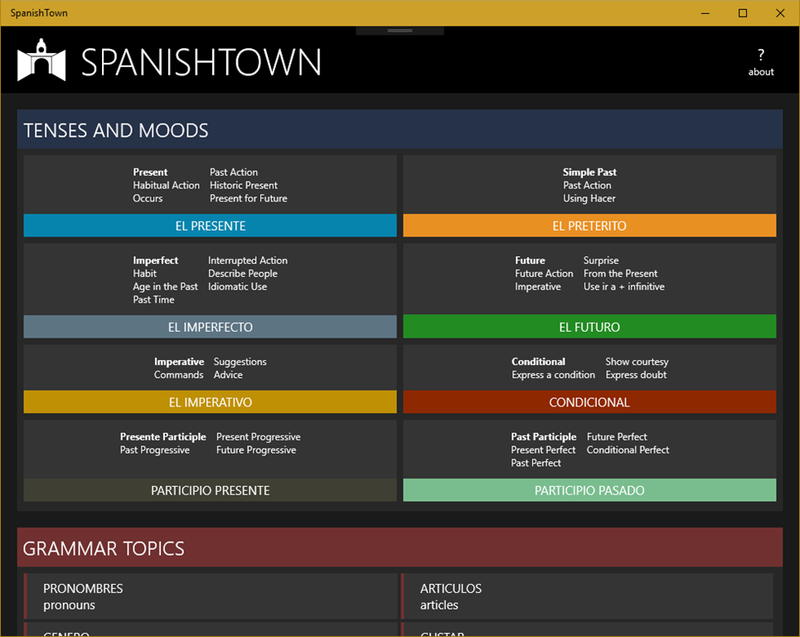 We’ve put together our Level 3 Spanish lessons covering the present tense. 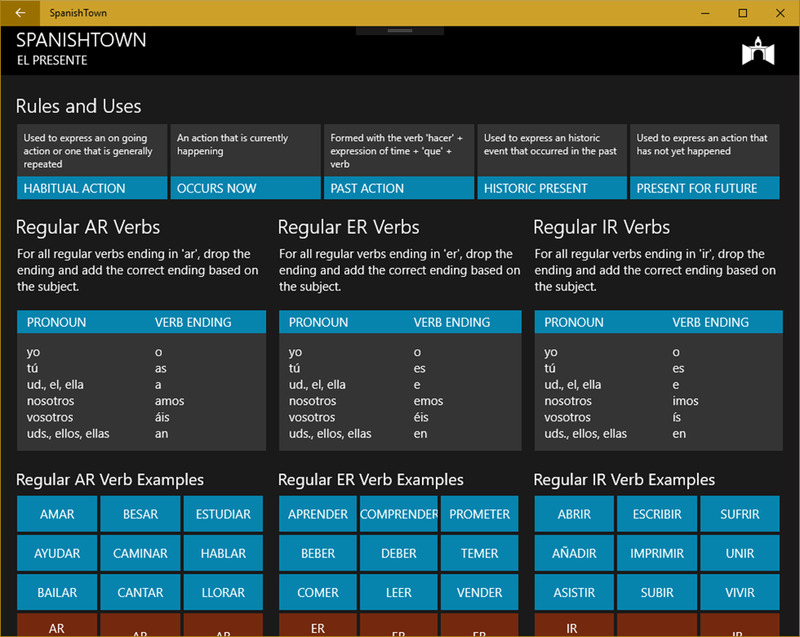 The ten lessons will take you from an explanation and uses of the present tense to regular verbs and irregular verbs. 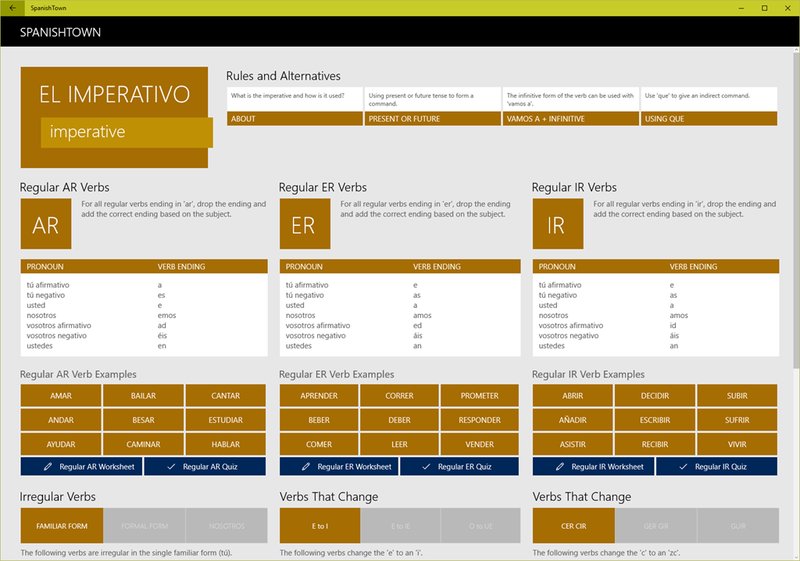 Each lesson contains sample verbs with their infinitive form, English translation and the conjugation. After taking a look through each lesson try out a short 10 question quiz. Level 3 is using HTML 5/CSS3 as we try to make it available across platforms and devices. 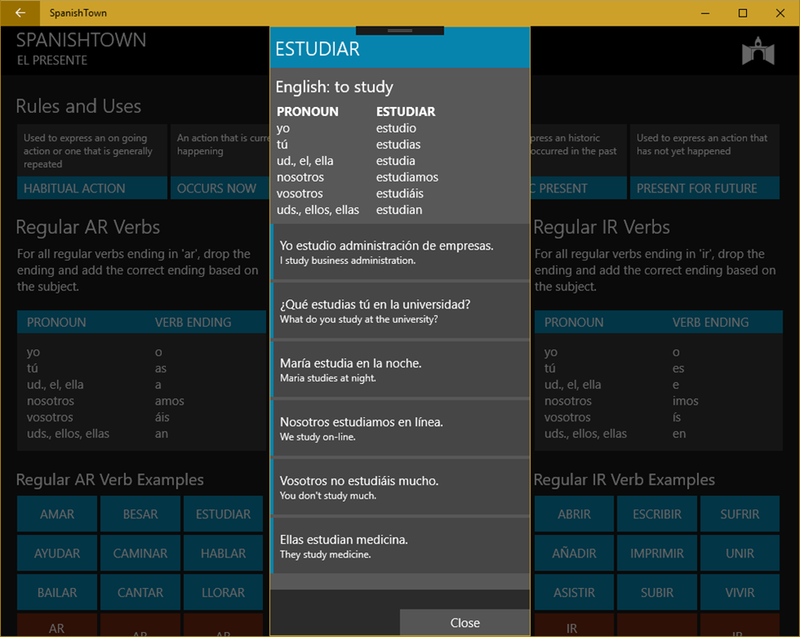 Then you will be interested in downloading our FREE Spanish Present Tense Grammar App from the Windows Phone Store. Did we mention that it is also ad free? The app continues to be very popular. Of the most recent 16 ratings, 12 are 5 stars and 4 are 4 stars. We are very proud and pleased to know that so many people have enjoyed and benefited from our app. 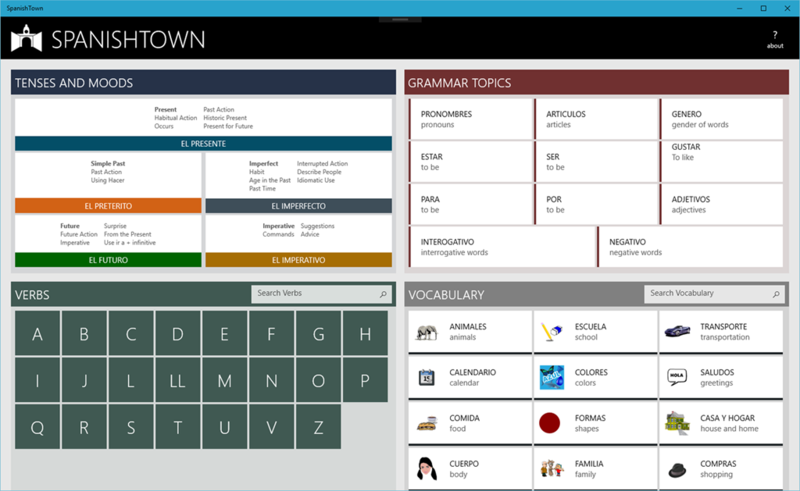 We are so excited to have passed the 5000 download mark for our Spanish Grammar – Present Tense App. It is currently the #1 downloaded app in the education category with an average ranking of 4 stars! 60% of users give it 5/5! 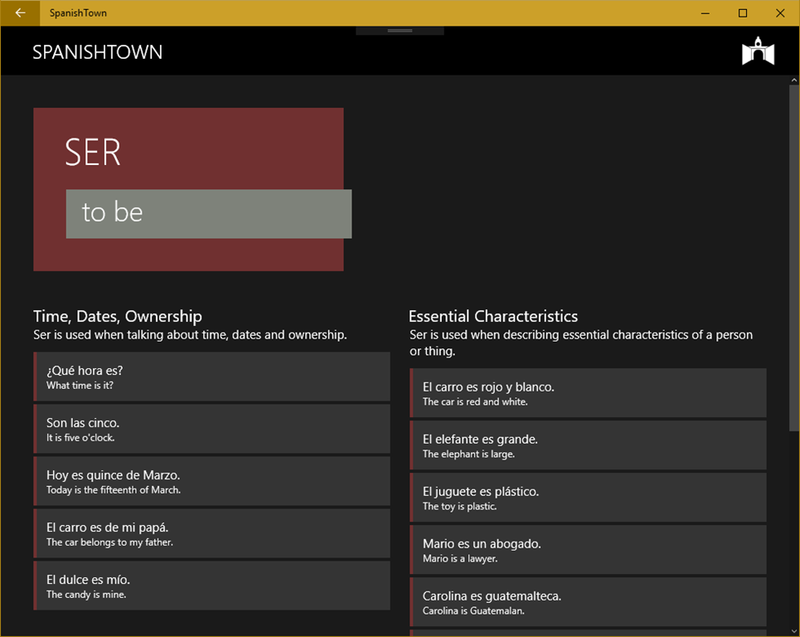 Go to the Zune Marketplace and download our Spanish Grammar Present Tense App.